Don’t get me wrong, I’m thankful for every book Rainfield writes because she knows the heart of a survivor. Her stories provide the bibliotherapeutic opportunities that many authors cannot produce and many readers desperately need. However, this honest voice of courage through adversity can be frightening because it forces survivors and those fortunate enough not to have faced a similar situation to examine themselves. Am I strong enough to overcome abuse, bullying, self-hate, trust issues, etc? In Sarah Meadows we learn yes we can be that strong. We can be our own hero. 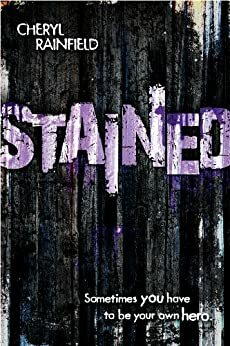 This entry was posted in Uncategorized and tagged abuse, book review, Cheryl Rainfield, courage, hero, reading, self-esteem, Stained, survivor.